SCE reopens its remodeled Foodservice Technology Center to help the food industry save money through energy-efficient equipment. Ines Barlerin sprinkles olives on a pizza at SCE's Foodservice Technology Center reopening. Freshly-based foccacia is on display at the SCE Foodservice Technology Center's reopening. 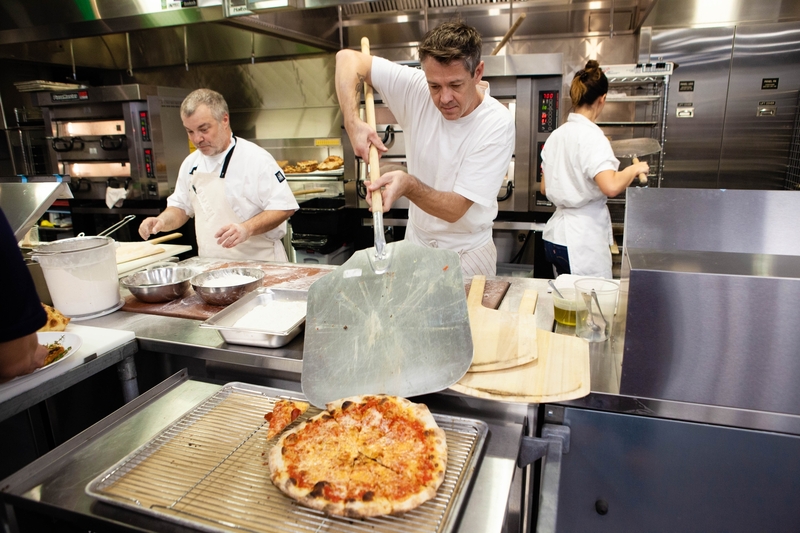 Pizza chef Noel Brohner checks pizzas in the new Pizzamaster ovens at SCE's Foodservice Technology Center. Pizza chef Chester Hastings slides a pizza onto a cooling rack during the SCE Foodservice Technology Center reopening. Pizza chefs Noel Brohner and Ines Barlerin prep dough while pizzas bake in SCE's new Pizzamaster ovens in the background. Pizza chefs Noel Brohner and Ines Barlerin prepare pizza dough at SCE's Foodservice Technology Center reopening. SCE has been educating business customers on energy-efficient equipment for 25 years. 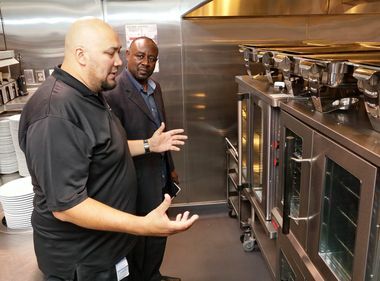 The Foodservice Technology Center was set up to test the energy efficiency of commercial electric kitchen appliances ranging from the pizza ovens to fryers, induction cooktops and soft-serve yogurt machines. Center staff also conduct seminars and allow chefs, caterers and other food industry professionals to come in and use the energy-efficient electric appliances before buying them. The classes and appliance tryouts are free. 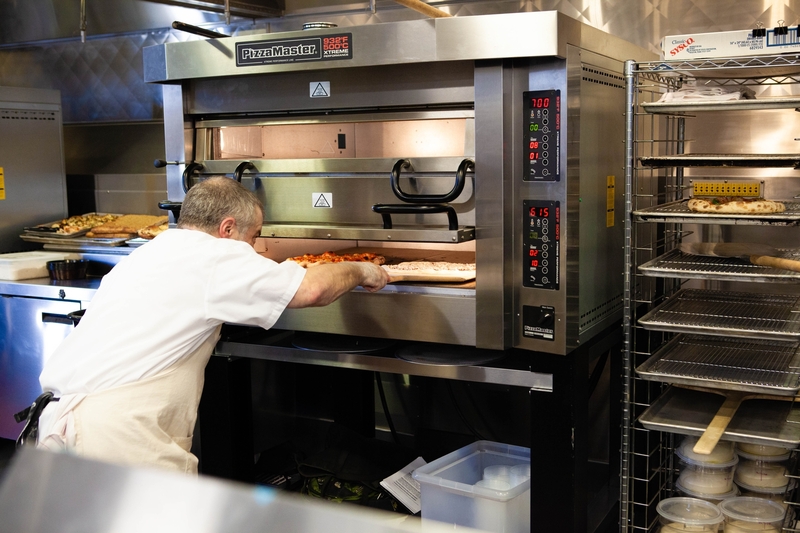 Brohner, a Los Angeles-based pizza consultant and owner of Slow Rise Pizza Co., was demonstrating how the Pizzamaster ovens can save restaurant owners energy, time and money. Pizza restaurants keep their traditional gas ovens on all the time because it takes up to 3½ hours to get them to the right temperature if they are turned off. The electric pizza ovens are ready to bake in 45 minutes. Restaurant owners are also eligible for a $1,250 rebate for every Pizzamaster deck they buy. The new electric pizza oven also can provide much higher heat — up to 900 degrees — with the versatility of multiple decks that can be set at different temperatures for various kinds of pizza or bread. 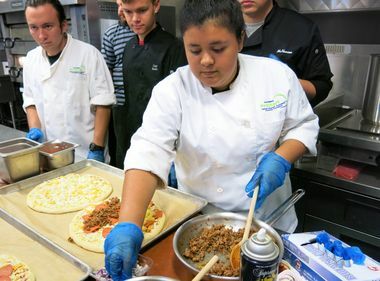 For the Foodservice Technology Center demonstration, Brohner baked Neapolitan-style pizzas on one deck at 700 to 750 degrees, while on the other deck he cooked New York-style pizza at 600 degrees. In the other oven, he baked two kinds of focaccia at 400 to 500 degrees. 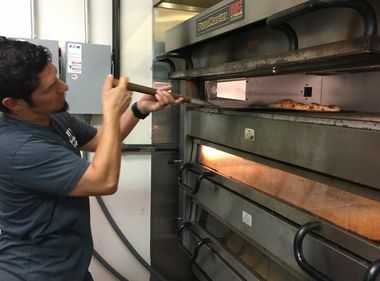 SCE acquired the electric ovens after a new 480-volt electrical system was installed that allows SCE engineers to test the energy efficiency of industrial-sized appliances that hospitals, hotels, grocers’ takeout food sections — and pizza restaurants — use. Previously, no lab in the country had the ability to test kitchen equipment that required 480V capacity. The remodeled center also has doubled in size to allow classes of up to 60 students. New energy-efficient light-emitting diode lighting with controls was added along with upgraded heating and air conditioning that allow the lab to maintain the consistent air temperature required for testing. 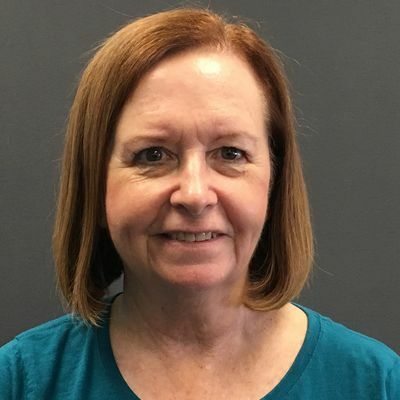 Learn more about the Foodservice Technology Center’s free energy audits, programs and classes.